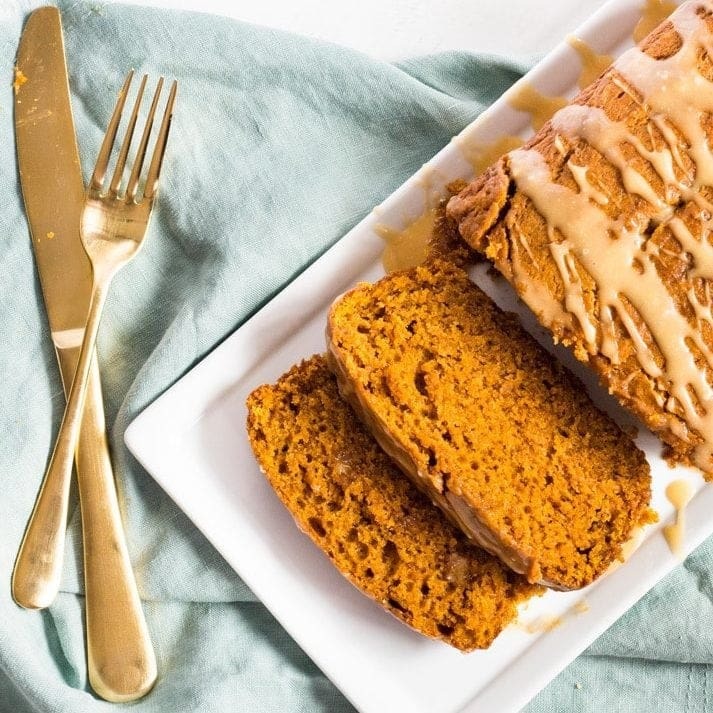 Maple cake is made with pure maple syrup for the ultimate winter flavor. 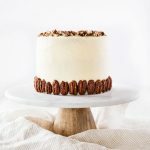 Each layer is coated with maple cream cheese frosting and garnished with pecans. It’s that time of year again! No, not Christmas, but it’s pretty close. January is my birthday month! This year I baked myself a maple cake with maple cream cheese frosting. When you are a baking blogger, you bake your own cake. I get weird looks from people, but I also get a lot of satisfaction out of creating a cake I truly crave. This year the craving was for a wintry flavor probably because I spent my birthday skiing in Vermont. This cake infused with maple syrup was just what my celebratory weekend called for. So this cake is pretty spectacular. Both the cake and frosting are infused with maple flavor. The cake batter calls for a whole cup of pure maple syrup as well as brown sugar to keep that wintry feel. 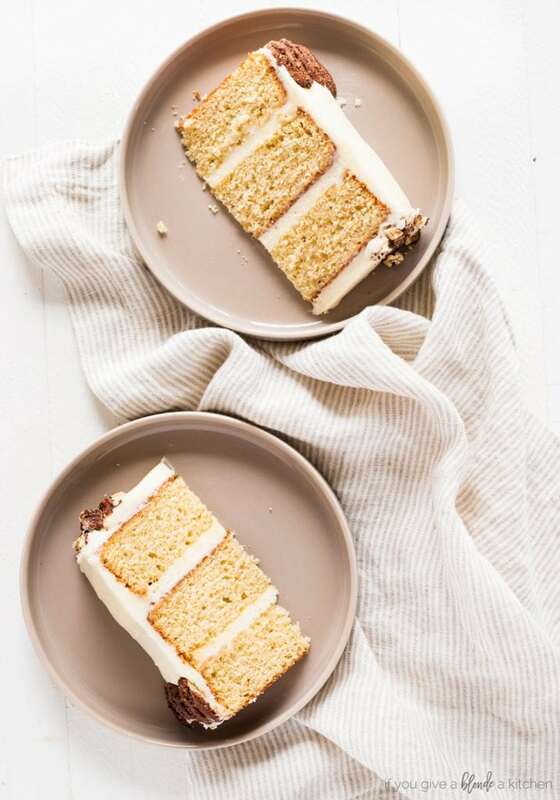 Baking the cake calls for the typical steps—beating the butter, sugar, eggs and vanilla together, then alternate adding in the dry ingredients with the wet. For the most part, you want to beat in the ingredient just until combined. The only ingredients your really want to beat for a while longer are the butter and sugar (until light and fluffy). These steps ensure a light and flavorful cake. No dense cakes here! 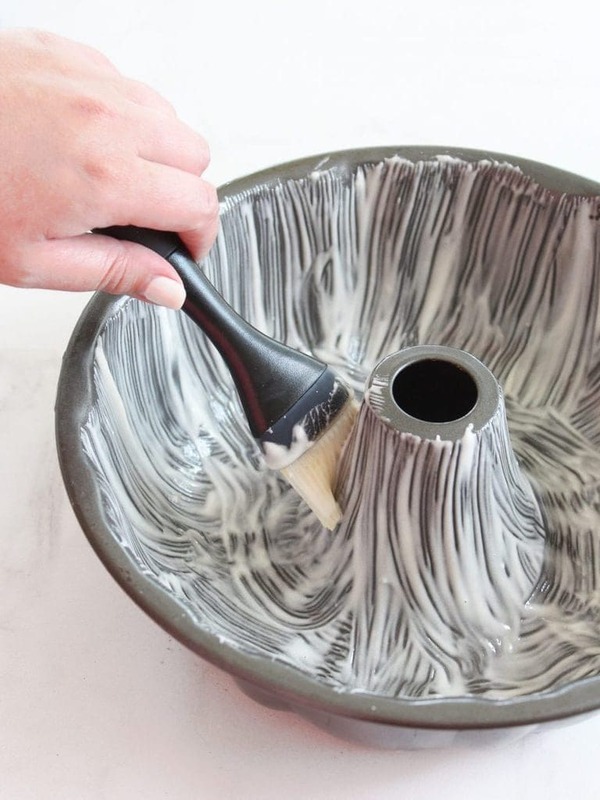 One question that always comes up when people bake cakes is “How do you grease a cake pan?” Simple. Use a pad of butter and slide it around the inside of your cake pan until evenly coated. You don’t need a lot. I like to use a paper towel to remove any large globs. Next, scoop a tablespoon or two of flour into the pan and tilt the pan around until evenly coated. Tap the bottom and sides of the pan gently to remove any excess flour. However, I do have a secret to greasing cake pans and that is my magic cake pan release. It’s a paste that I brush on this inside of my cake pans and every time the cakes magically come out of the pan without a crumb left behind. Both methods work, so give either a try when baking this maple cake! If a maple cake wasn’t good enough, this maple cream cheese frosting is making dessert even better. It calls for butter, cream cheese and confectioners’ sugar to create a creamy, rich frosting. The frosting does not call for maple syrup simply because you would need a lot of it in order to get a strong enough flavor and that would thin out the frosting too much. Instead, I used maple flavoring. You can find this on Amazon or at Whole Foods. Do you know someone who would love a maple cake for their birthday? 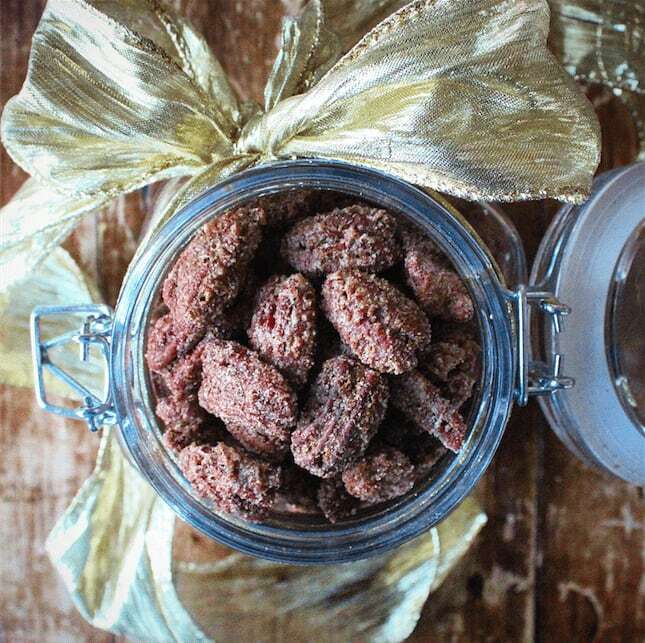 Try out this recipe and garnish with spiced pecans! Preheat oven to 350 F. Grease and flour three 6-inch (or two 8-inch) cake rounds and line with parchment paper.1 Set aside. In a medium bowl, whisk flour, baking powder, and salt together. Set aside. In a measuring cup, stir together maple syrup and milk. Set aside. In the bowl of a stand mixer fitted with a paddle attachment, mix butter and sugar on medium-high speed until light and fluffy, about 3 minutes). Turn speed to low and add eggs one at a time, beating well after each addition.2 Add vanilla and mix until combined. Scrape down the sides of the bowl as necessary. Alternate adding flour mixture and maple mixture, beginning and ending with flour (3 parts flour and 2 parts maple). Mix well after each addition. Bake for 30-35 minutes or until a toothpick inserted in the center comes out with little to no crumbs. Let cakes cool in the pan for 10 minutes, then turn on to a wire rack to cool completely. Prepare the frosting. In the bowl of a stand mixer with a paddle attachment, beat the butter and cream cheese together on medium-high speed until light and fluffy, about 2 minutes. Add the maple extract, vanilla extract and salt, and beat until combined, about 1 minute more. With the mixer on low, slowly add in the confectioners’ sugar and beat until combined, about 1 minute. Scrape down the sides and bottom of the bowl if necessary. Place the first cake on a plate, then top with a scoop of frosting and spread evenly. Top with the second layer and frost again (repeat if doing three layers). Finish by frosting the outside of the cake with the remaining frosting. 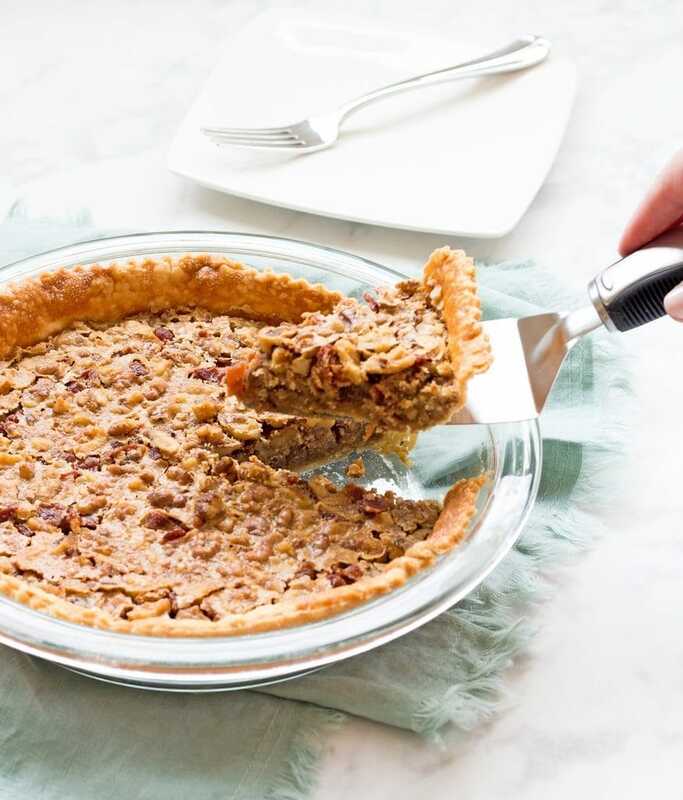 Garnish with pecans (or spiced pecans). Alternatively, use my magic cake pan release and guarantee no crumbs left behind in the cake pan! The eggs may take a little longer to incorporate. It’s okay if the batter does not look completely smooth, especially after the third egg. Add a tablespoon of the flour mixture if necessary to help mixing. Serve cake the day it was baked for the best flavor. Cake stays fresh in an enclosed cake stand at room temperature for up to 4 days. This is an absolutely perfect looking cake. Love the pecan and maple combination. I love maple anything and everything!! Saving this one for fall! This cake is beautiful! 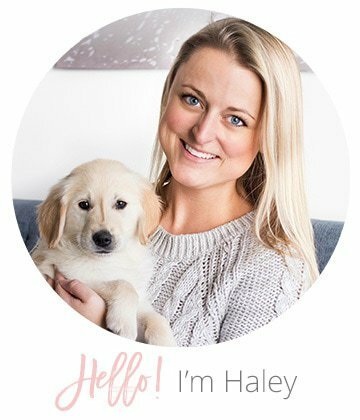 Love the addition of maple! Outstanding maple cake. I love the sweetness, and especially the cream cheese frosting. Thanks for the bonus tip on the magic cake pan release! Very helpful!